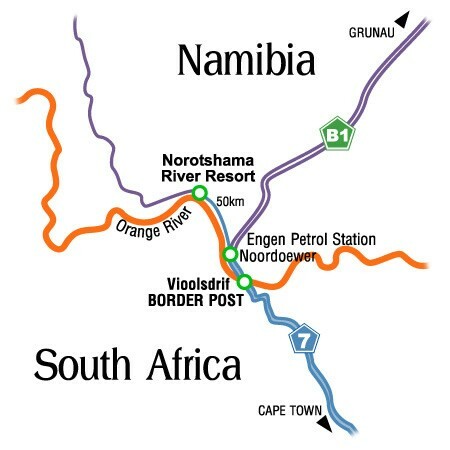 Norots hama River Resort is located around fifty kilometers north-west of the village of Noordoewer on the farm Aussenkehr, Southern Namibia. 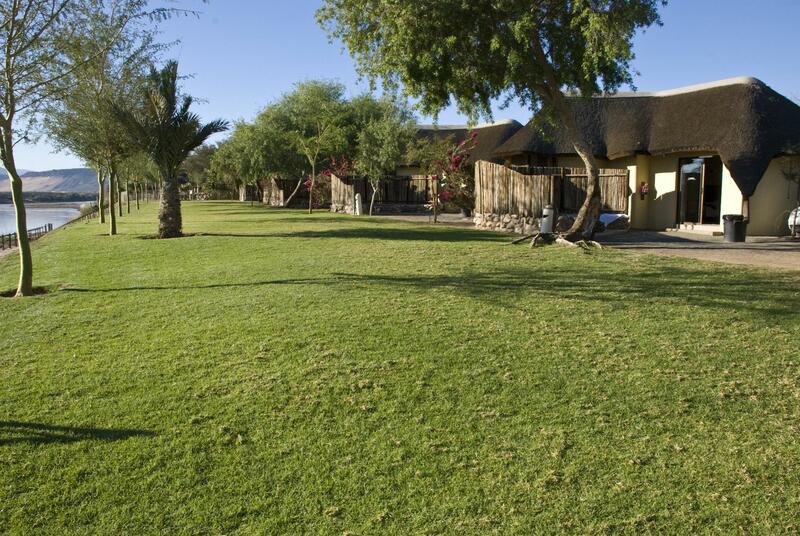 Nestled in the great valley of the Karas Region in southern Namibia at the border with South Africa and situated on the banks of the great Orange River, this pristine, malaria-free resort offers a host of activities for the discerning traveller. This malaria-free retreat is framed by Namibia's breathtaking natural landscape on the banks of the Orange River. Be sure to pack your camera as the route will expose you to stark contrasts of sky, water and sand unlike anything you have witnessed before. Not only will the landscape leave you breathless, but you may well come across the indigenous wild Namib horses that roam this untamed wilderness. To complete a truly memorable day, stop off at our A La Carte Restaurant and indulge in a candle-lit dinner while soaking in a larger-than-life sunset. Guests can stay in one of thirty luxury air-conditioned suites of which ten was recently completed. Norotshama's accommodation also comprises of four luxury tented thatched chalets, two stone constructed self-catering units, four thatched family chalets and ten river edge chalets. All units are stylishly decorated and are equipped with air-conditioners, a bar fridge, microwave and a safe. In addition, camping sites equipped with individual barbeques, electricity and ablution facilities offers a more affordable option and a great setting for sleeping under the stars. 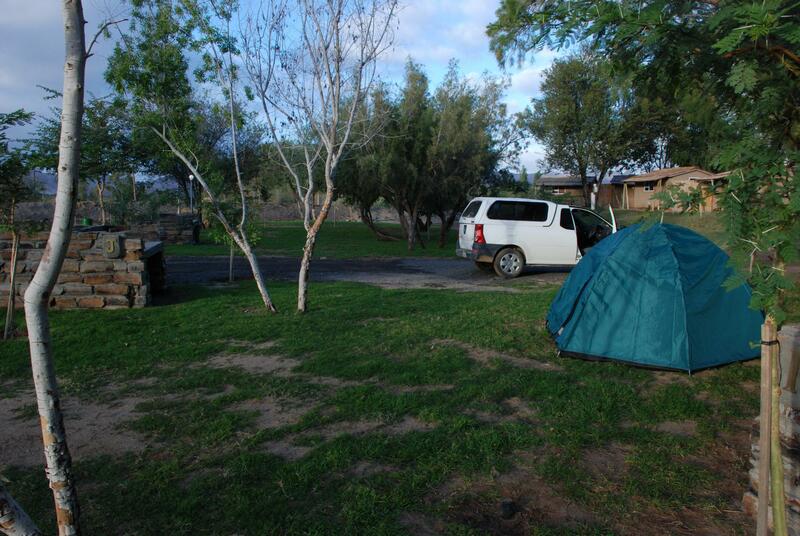 Riverside camping sites equipped with individual barbeques, electricity and ablution facilities are available. Facilities include Norotshama’s renowned a la carte restaurant, known to offer the best flame grilled steaks in the whole of Southern Africa! 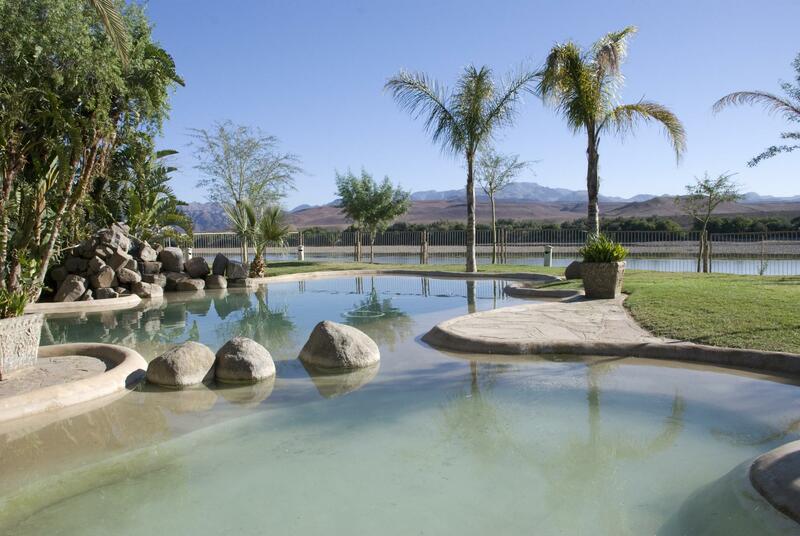 Other facilities include our barbeque facilities, swimming pool (with lounge chairs) and children splash pool, all from which you could take pleasure in the scenic splendor of the Orange River. Then there are the candle-lit dinners under the starry African skies, offered at one of our many outdoor dinner venues. These dinners are part of the unique Norotshama experience and can be arranged on request. Modern needs are also met by the availability of wireless Internet connectivity. A landing strip is available for fly-in travelers. The Orange River is the main draw card of this region and river rafting on the great Orange is undoubtedly the highlight of all the activities. Trips vary in duration from one to three-day trips and overnighting on the banks of the river. A truly memorable experience. Being situated next to the river, Norotshama of course lends itself to fishing and fly-fishing for those who prefer tranquillity and seeks a “getaway from it all” feeling. The region boasts an abundance of birdlife and promise to be a birdwatchers paradise. As a result of the innovative grape producing industry that has emerged in the region, a developing community exist close to Norotshama that serves the grape production project. A visit to this cultural community is a must see and one can’t help marvel at the enterprising construction of their village. The Aussenkehr Valley has had a colourful history. In the 1800’s it was an uninhabited area with little interest for the colonial powers of the day. Nama tribes travelled through the area but never settled in the valley due to their nomadic existence. 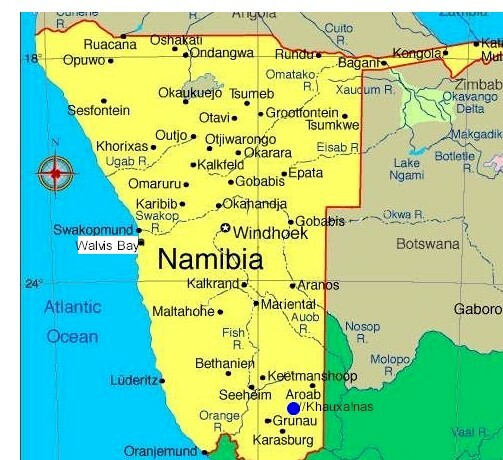 However, during the late 1800’s, with the discovery of diamonds along the Orange River, the colonial powers of Germany and Britain began to exert their influence over southern Namibia. At nearby Uhabis, the German colony of South West Africa set up a border post manned by German sentries, for those traveling across the Orange River into German territory. This border post was the scene of several skirmishes during the Nama Uprising at the beginning of the 1900’s. Today the graves of young German soldiers at Uhabis is a chilling reminder of this conflict. During this period of German colonial rule several German families settled in the Aussenkehr valley. These families farmed oranges and figs which they would send to Keetmanshoop as well as to Cape Town. However, because of Aussenkehr’s isolation, lack of infrastructure and a devastating flood of the Orange River, this farming proved unprofitable and ceased in 1905. 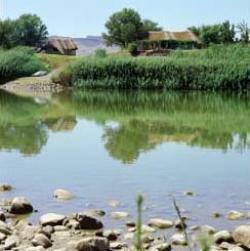 In the 1940’s there was a new South African attempt to develop the Noordoewer / Vioolsdrif / Aussenkehr region. This resulted in infrastructural development of Noordoewer and Vioolsdrif but not Aussenkehr. Since 1951 there have been several owners of Aussenkehr’s farms. Each had his own idea as to what would prove economically viable or sustainable for the valley. These activities have included diamond prospecting and various attempts at agriculture, in particular, livestock (karakul and boerbok), game farming, lucerne and vegetable production, particularly tomatoes. In 1988 the first vineyards were planted in the valley. Today Aussenkehr is home to the largest early grape production farms in the Southern hemisphere and boast over 1200 hectares of vineyards. The latest table grape production technology has been introduced and we boast one of the largest and most advanced pack-house facilities in the world. The farm is now a leading exporter of early table grapes to major world markets such as Russia, Europe, the UK and the Far East. In the midst of a booming table grape industry, the need arise to accommodate seasonal service providers. Accommodation units were erected and this soon became a popular retreat for travelers. 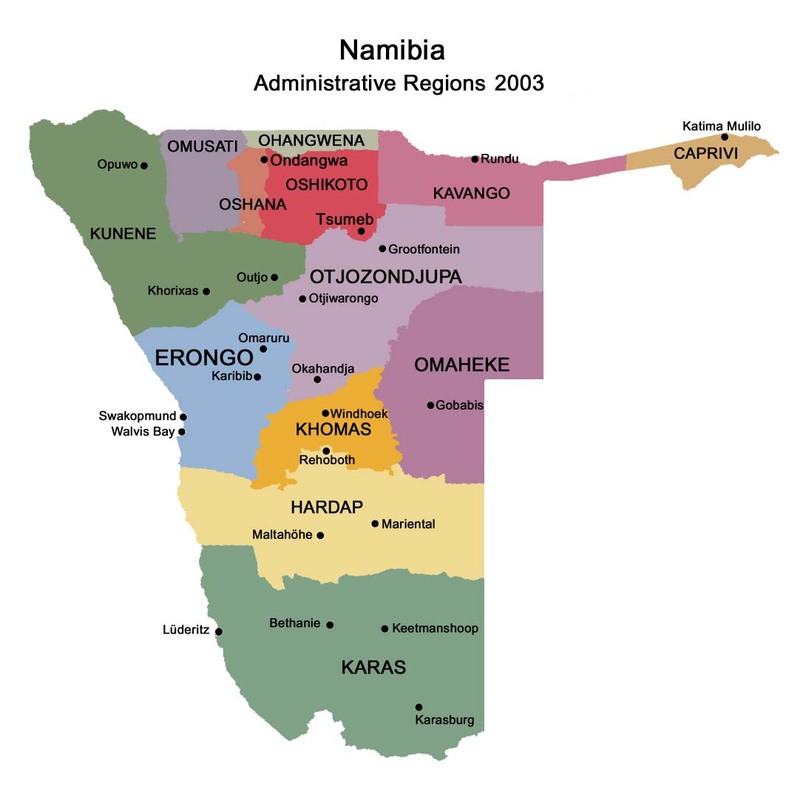 What started out from humble beginnings now turned into one of Southern Namibia’s most exclusive holiday destinations. It is the beautiful vineyards, the thrill of river rafting, the hiking and the 4x4 trails and the charm of the staff and the locals that have created a remarkable oasis of tranquility allowing guests to experience true Namibian grandeur that is Norotshama River Resort.